JASON Ridley is at his wits' end after the Valetta Gardens resident lost his family's much-loved cat when it was "savagely" attacked on his front lawn by three dogs that have been terrorising the neighbourhood for months. Mr Ridley said he is not alone in his grief, with neighbours whose pets have also fallen victim to the same dogs coming together on an online community group. "I just feel this has gone way too far," he said. "There is probably six to eight other cats that have been attacked and I believe there is another dog that was attacked and a cat that is missing. "These dogs have been an issue here for months, post after post, we even have video footage of these three dogs. "My understanding is that a number of calls have been made about the dogs, but the council have done nothing about it." Mr Ridley said he called the Mackay Regional Council after the attack and was told he would get a call back within an hour but never received that call. "We lost a 15-year-old family cat that spent most of its time laying under the bed and it has been mauled to death," Mr Ridley said. "My concern is these dogs are proficient hunters, they are not three stray dogs that accidentally stumbled upon a cat." 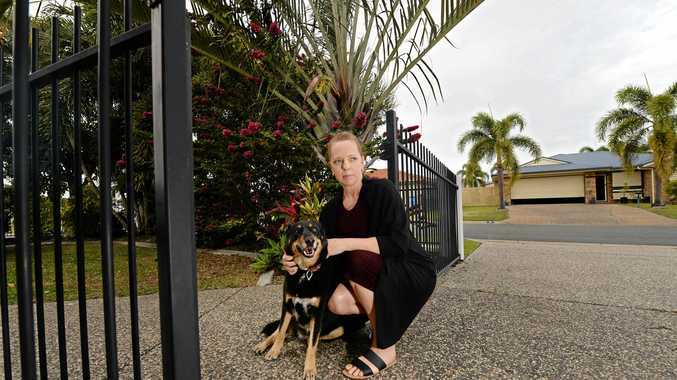 Acting Community and Client Services director Angela Hays said the council is unable to progress with further action until they understand more about the case, specifically who owns the dogs. "We would love to talk to anyone who knows more about this incident so we can follow up with the owners of the dogs involved in this attack," Ms Hays said. Leonie Leonard, who also lives in the Valetta Gardens estate said she is scared of the "vicious dogs" which return repeatedly to terrorise her dog, and have taken swipes at both her children and herself. "These dogs have had a taste of blood, they're out there hunting cats. I think they need to be put down," she said. "I don't like to say that about people's pets but I don't think these animals are peoples pets." Mrs Leonard said the dogs, which always travel in their pack, roam around the neighbourhood most nights of the week, taunting family dogs, attacking cats and keeping the entire area wide awake. "I am terrified, I have a two- year-old who puts her hands out the gate, so I don't let her outside in afternoons."